According to figures from the Nevada Gaming Control Board made public last week, the Silver State’s sportsbooks and their mobile apps handled $458,591,549 during the month, up 11.5% compared to the $411,192,307 in handle in February 2018. That came despite a drop in betting interest on the biggest sporting event of the calendar year. The books handled $145,939,025 on this year’s Super Bowl, down from $158,586,934 in 2018. In terms of winnings, the books held $35,816,000 in the form of revenue during the most recent February, a whopping 235.1% increase year-over-year. The reason? Despite less Super Bowl handle this year, the books won about $9,000,000 more on the game than they did last year. Overall, the books had a 7.81% win percentage in February, which is on the high end. Over the past year, the books averaged a hold percentage of 6.15%. Nevada is one of eight states with regulated sports betting. The only comparable state is New Jersey, which has a sports betting industry that generated roughly $320,400,000 in handle during February, winning about $12,700,000. The Garden State hold was much lower, checking in at around 4%. Football revenue was solid in February, but basketball nudged ahead of it as Nevada’s most profitable sport over the month thanks to a far greater number of games to bet on. The casinos won $1,011,539,000 from all the games in February, down 0.6% year-over-year. Over the three months prior to March 1, 2019, the casinos won $2,995,435,000, up 0.08% compared to the same period a year prior. Over the 12 months prior to March 1, the casinos won $11,880,227,000, up 2.2%. Though sports betting is still booming (revenue up 23.4% over the past 12 months), it’s been a lackluster few months for the Nevada casino industry. Visitation to the gambling hub has been sluggish lately, prompting some properties to cut fees. 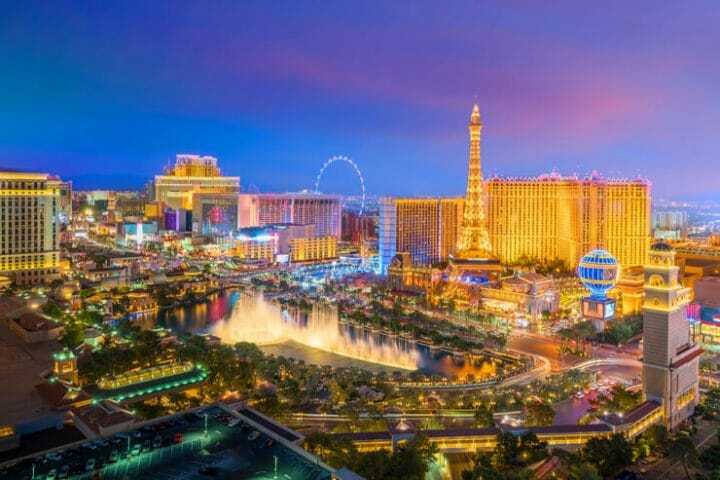 The ongoing U.S. sports betting boom, which is really still in its infancy, has many in the industry envisioning a day when Nevada will be overtaken in terms of handle. February offered yet another sign that it could take some time for the Silver State to lose its place atop the sports betting mountain. It’s inevitable, but that day could be several years away. Sports betting win is up more than 220% statewide in February, which seems to vindicate those who said the broader expansion of sports betting would not hurt Nevada's sports books. The maxim “a rising tide lifts all boats” more than likely applies here. A greater acceptance of sports wagering across the nation will likely result in more bets in Las Vegas by casual gamblers visiting southern Nevada for whatever reason. That’s assuming Las Vegas can maintain its place among America’s top tourist spots (an upcoming NFL franchise will help there). Visitation is currently trending in the wrong direction. Also of note is that visitation to Sin City for the primary purpose of gambling is apparently on the decline.